Hola Lexicans! I hope, for those of you who celebrate it, you had a very merry Christmas. this Christmas, I discovered the true meaning of Christmas. it isn't about making sure every single moment of it is absolutely perfect and just how you'd like it to be. it's about enjoying the day, like every other and not worrying whether 100% of the day is perfection. - Raspberry Pi/Kano! Yay!!! If you read My Wishlist, you will know this was at the top, and I'm so pleased I got it. For those of you who don't know, it is a little computer, about the size of your hand, which you have to build and then plug into a monitor or TV where you can code simple games, access the Internet, learn coding etc. etc. I know there are many bloggers out there who also code, and I'd definitely recommend it for you. - Bobbi Brown make-up. I completely respect I am only 11 years old, and many of you won't think it's right, but I adore make-up, although my mum isn't particularly keen on me wearing it, so it was a massive surprise when my parents gave me a Bobbi Brown brightening brick and lipgloss. - Superdry rucksack. FINALLY!! For those of you I know in real life via my school, you will know I'm slightly infamous for my rucksack, old, saggy and completely ugly, so I was so happy when I finally got a new one, and can't wait to use it when I go back to school tomorrow. - A new phone case. Again, I'm infamous for my tatty phone case which was peeling off at my school, and my new one is leopard print with my two favourite colours - green and pink! - Vouchers. I got lots of lovely vouchers from various amazing people, which meant I ended up with two New Look vouchers (yessss! ), two iTunes vouchers (yesss! ), an H&M voucher (yesss!) and a Waterstones voucher (yesss! ), which I can't wait to use. I don't want this to become one of those posts where I list every single thing I received, down to the last pack of stickers, so I'll stop there! Anyway, Christmas isn't about presents. It's about family, the decorations, food, Christmas Eve, pantomimes, hot chocolate, the anticipation and much more. How was your Christmas?? I'll be back soon with an Annabel Pitcher post, with a mini review of each of her amazing books! You got some really nice stuff for Christmas! Thanks Rukiya - it is really cool! How was your Christmas? It looks like you had a fun Christmas! 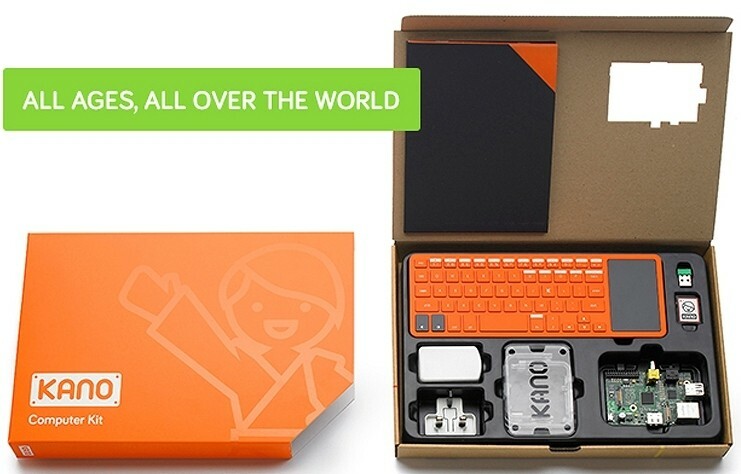 The Raspberry Pi/Kano sounds really cool!